A company’s travel policy can play a major role in recruiting and retaining top talent. So it’s important to know what employees are looking for and to offer them what they want — while balancing safety and compliance considerations. Corporate travel policies are increasingly positioned as a key differentiator for retaining and recruiting talent. And travel managers are seeing a dramatic increase in quality-of-life inquiries from travellers, according to Managing the Modern Business Traveller, a 2017 study published by American Express Global Business Travel and the Association of Corporate Travel Executives (ACTE). In 2017, 31 per cent said they’ve experienced more inquiries about work-life balance, while 30 per cent said more travellers have asked about adding a leisure element to business trips, found the survey of more than 170 travel managers around the world. Since travel policy and experiences directly impact the quality of the employee experience, there’s great strategic value for HR managers to have visibility into travel policies and a strong relationship with their company’s travel managers, or the department that manages travel. A travel policy reveals much about how a company will be perceived by potential employees. For example, a cutting-edge travel policy that’s easy to understand and takes advantage of new technologies and mobile apps can reflect more positively than one that relies on cumbersome online forms. To ensure a travel policy can be leveraged for recruitment and retention, it’s important to understand the needs, demands and preferences of the travelling workforce. Modern business travellers come with a new set of expectations for their end-to-end travel experience, and they’re increasingly seeking out experiences in business travel that mirror their leisure experience. They have access to powerful, cost-effective and portable technology. As with all aspects of their lives, hyper-connectivity is to be expected on business trips, as is the consumerization of tools and services. Travellers expect flexible programs and are increasingly preoccupied with how to integrate business travel with the rest of their lives. They value personalization, and expect the opportunity to pick and choose or customize their travel experience so it’s exactly right for them. They value the ability to tailor their travel experiences to their specific needs, just like creating their perfect holiday or making a playlist. 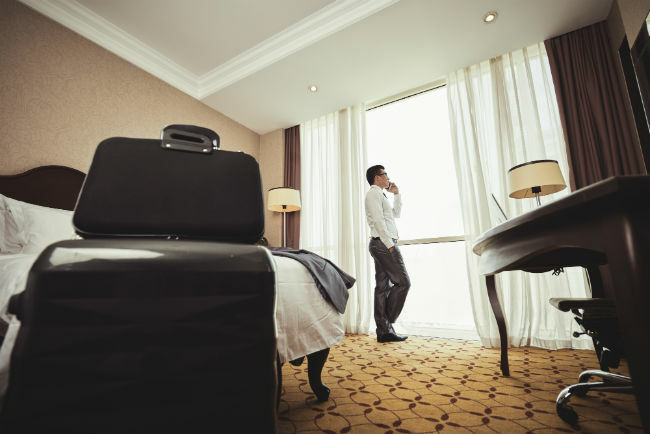 More business travellers are exploring non-traditional travel and accommodation methods in their leisure travel and personal lives, and expect similar offerings in their business travel experiences. Usage of non-traditional ground transport is growing, and there’s been an increase in travel policies including services such as Uber or Lyft. The same holds true for accommodation options like Airbnb. High value is placed on amenities, especially those that help make each part of the business travel experience more efficient, such as free Wi-Fi on planes and in hotels. For this reason, HR should ensure every aspect of a traveller’s journey is considered in their company’s policy. Even small things such as ensuring preferred properties are within walking distance from a conference or meeting space can leave a lasting impression and incentivize employees to stay. Not only does it minimize expenses by not using taxis or car service, but it is also a convenience factor. Duty of care is more important than ever, with safety continuing to be a top concern for travellers and a top priority for travel managers. More than half of travel managers saw growth in traveller enquiries about personal safety over the last year, and over one-third of travel managers saw an increase in requests for information about immigration or border crossing in the latter half of 2017, according to the study. Greater uncertainty at borders, economic uncertainty and weather concerns are all factors. Employers should review their policy frequently: Does it meet the demands and profile of travelling employees and align with company culture? Travel policies are often overlooked and infrequently updated. But a strong relationship with the travel manager or department that manages travel at an organization will ensure travel policies are frequently reviewed and revised — a necessary action for the well-being of the travelling workforce and alignment with company culture. This relationship is mutually beneficial. While travel managers can provide invaluable insights into traveller demands, HR will in turn offer insights into demographics and engagement. Each department can also help each other understand the location of employees and, more importantly, how to communicate with them, which is crucial to ensuring they are safe and accounted for, especially during emergency situations. To encourage compliance and increase engagement, educating the travelling workforce is important. Overall, people want choice and they want to understand their options, while feeling well-educated about what they’re allowed and not allowed to do. Not only is a well-educated business traveller more likely to have a positive experience from end to end, he’s also likely to stay compliant. Day one on the job is not just about providing a new employee with a computer and phone. A good onboarding process provides core, fundamental training on all company policy aspects, including a company’s code of conduct, compliance training, corporate cards and, if appropriate to their role, the business travel policy. To set employees up for success, training should take place over the course of their first two weeks and continue throughout their employment. Providing this information early on significantly improves how well they understand the travel policy, and improves their end-to-end business travel experiences. Education drives compliance. While business travellers are more likely to stay compliant when they understand their policy, they should also understand why compliance is so important, and be clear about what happens when they book out of policy. It’s crucial that a company’s messaging around compliance comes from senior leaders and is multi-faceted. It is important senior leaders lead from the top and lead by example. Today, companies are using interesting tactics to drive the adoption of policy, such as gamification, peer pressure or visual guilt. Eighty-five per cent of travel managers point to peer pressure and corporate culture to guide travellers, and others turn to gamification or incentivizing tactics, according to Managing the Modern Business Traveller. Eighty per cent use visual guilt to drive compliance, delivering messages via the online booking tools that prompt a traveller to reconsider a travel option if a more policy-compliant alternative is available. As the demands of the travelling workforce continue to evolve, it’s increasingly difficult to meet employee needs while also driving compliance and keeping in mind the bottom line. To ensure balance, developing a strong relationship with the department that manages travel at your organization, and reviewing your policy often, are crucial. Always keep in mind that a good business travel policy will not only increase overall engagement, but it will help drive compliance, safety and security — always top priorities. Patricia Huska is vice-president of HR at American Express Global Business Travel in Boston. For more information, visit www.amexglobalbusinesstravel.com/ca.